Is Watering Plants With Fruit Juice Healthy for the Plants? Whether you plan to go away for a week or two on vacation or you simply have trouble remembering to water your plants on a regular basis, you need a little help making sure the garden doesn't wither and die in the summer heat. Automated watering systems are available in many sizes and configurations, but these can sometimes be complicated and expensive as well. A free drip-watering system is available to anyone who has access to empty plastic water jugs, and it doesn't take long to set up. Drill or punch eight to 10 small holes in the bottom of a clean plastic soda or water bottle, or some other type of water jug. Add small gravel through the bottle opening until you have a layer of 1 to 2 inches in the bottom of the bottle. This helps weight the bottle down so that it doesn't tip over in the wind. Fill the bottle 3/4 full with water, then put the cap back on lightly. Set the bottle near the plant to which you want to provide slow drip watering. Refill the bottle with water as needed. Drill or punch four to six small holes in the cap of a plastic soda or water bottle. Cut the lower section of the bottle off 2 to 3 inches from the bottom. Put the cap back on the bottle, then bury the cap end 2 to 3 inches in soil next to the plant for which you want to provide slow watering. Pour water into the open end of the bottle and refill as needed. Find a long neck glass bottle such as an empty wine bottle. Wash the bottle inside and out with warm dish water. Rinse it well. Fill the glass bottle with water. Dampen the soil of your potted plant. Place the glass bottle neck down into the soil, making sure the rim of the neck is firmly in the soil. Refill the bottle as needed. The most obvious sign of overwatering is if you consistently have water in the drainage or catch tray under the plant a day after watering. Or worse, if there are no drainage holes in the growing container you are using. Either condition forces the roots to sit in water, which can quickly lead to rot. A foul odor may also emanate from the bottom of the pot signaling root decay. Leaves dropping from the plant or coming loose when barely brushed is a common sign of over watering. You will see both small new leaves as well as fully developed mature leaves dropping at the same time. Mold can form on the flowers, stem, stalks and even the soil surface. 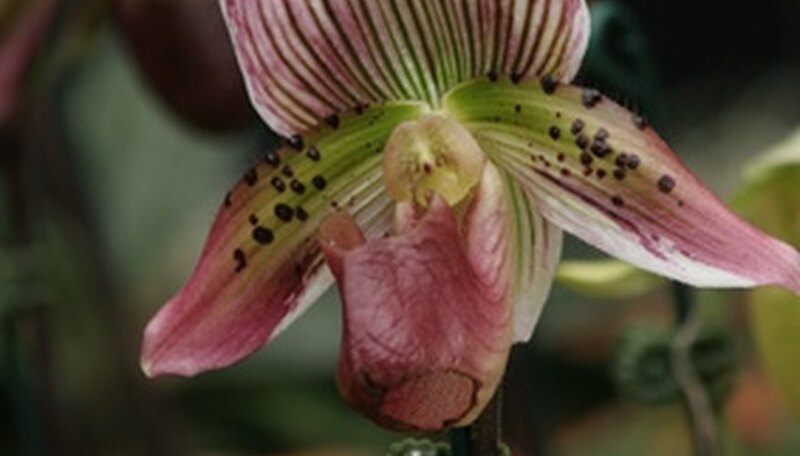 A light white fur will be visibly on the flower buds, stems and soil while a slimy brown decay will be seen on the flower petals. Leaves of overwatered house plants will develop soft brown spots that are rotted and will not grow to mature size and will be flaccid. 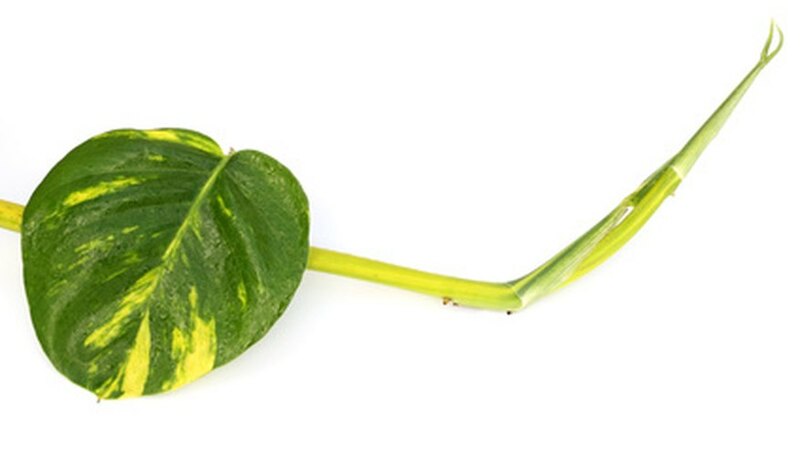 Monthly watering with pure distilled or reverse-osmosis water is beneficial for golden pothos vine because it flushes unsightly salt buildup from potting-soil fertilizers that could damage the roots of the houseplant. Watering with only pure water could lead to micro-nutrient deficiencies unless a fertilizer with micro-nutrients is used regularly. Watering plants with fruit juice is harmful, as these juices are weak acids. Most plants prefer neutral soil with a pH of 6 or 7, whereas ordinary fruit juices have a pH between 2 and 4. Build a ring of soil around the base of a freshly planted grapefruit tree. Use a spade and pile the soil's perimeter 2 inches high and 3 to 4 inches wide. The ring itself should be approximately 24 inches in diameter. Fill the ring with water. The water will slowly soak into the soil adjacent to the grapefruit tree. Repeat every three to four days. After the grapefruit tree has been planted for two weeks, decrease watering to once every 10 days. The soil ring will slowly dissipate over the course of several months, after which the tree will be established, according to Texas A&M University. Water the established tree once every two to three weeks. Apply enough water to moisten the dirt around the tree to a depth of 12 to 18 inches. Poke a hole into the bottom of your pot, and feed the acrylic string through the bottom. Pour soil slowly into the pot winding the acrylic string through it in a circular motion. Poke a hole into the lid of your food container, and feed the string through it. Fill the bottom of the container with water. Place the lid onto the container with the pot attached, ensuring the string touches the water in the container. Place your plant into the pot. Check the water every week to ensure there is enough and that the wick is moist.